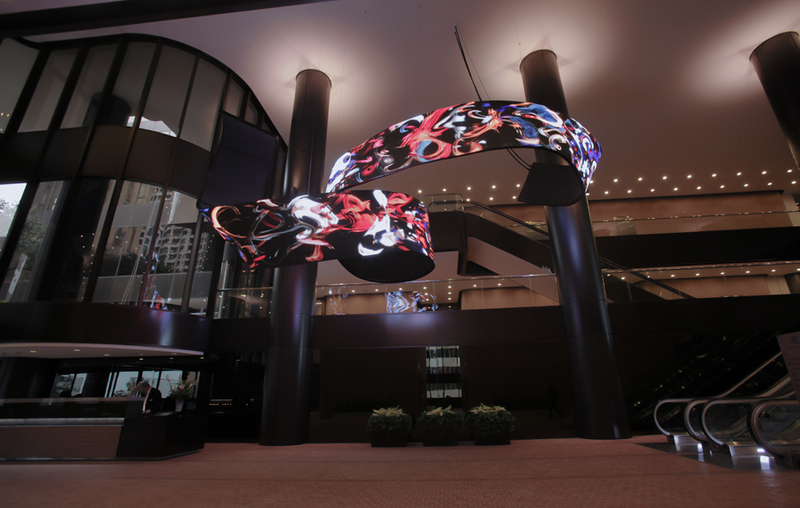 Waves, a suspended sculptural LED video installation in Houston, Texas, echoes the flow and constant current of people walking through the atrium. 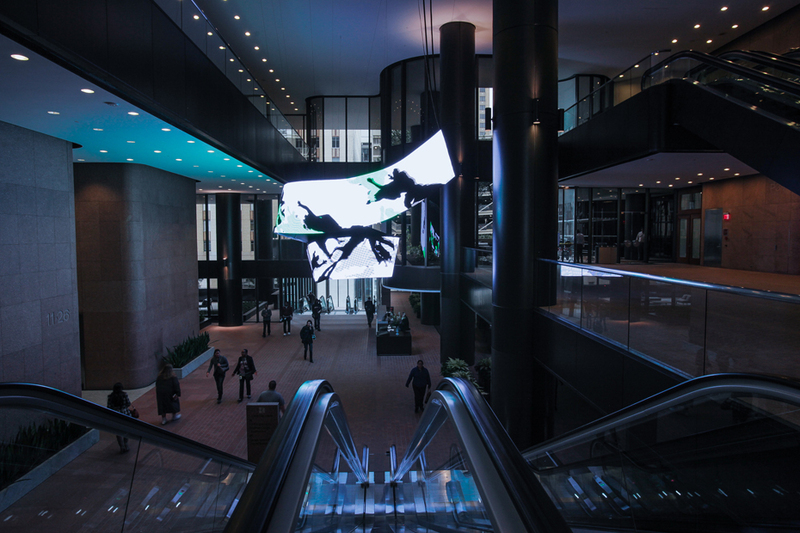 The video display content is the result of a public-participation performance, a signature method of the artist. 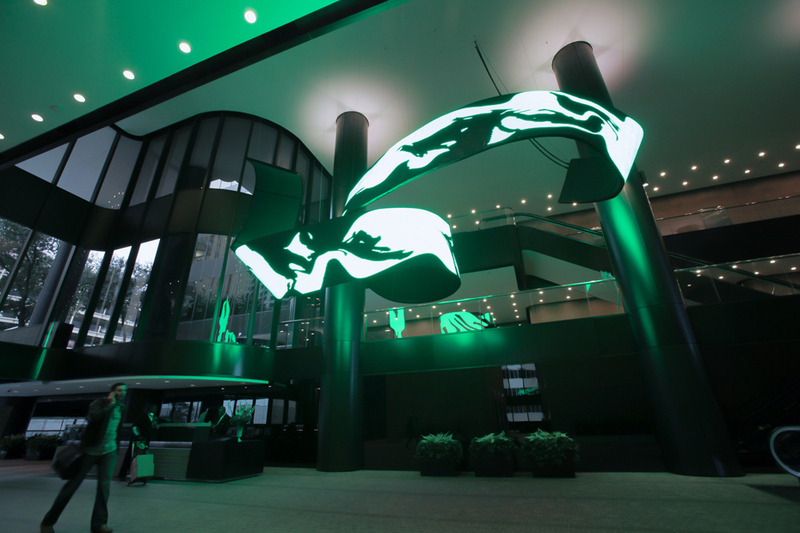 Over one hundred workers and tenants of the building complex, as well as passersby, performed over a green-screen surface while being captured by Canogar’s over-head video camera. They were first asked to crawl, and then encouraged to be creative. They danced, ran and cartwheeled. 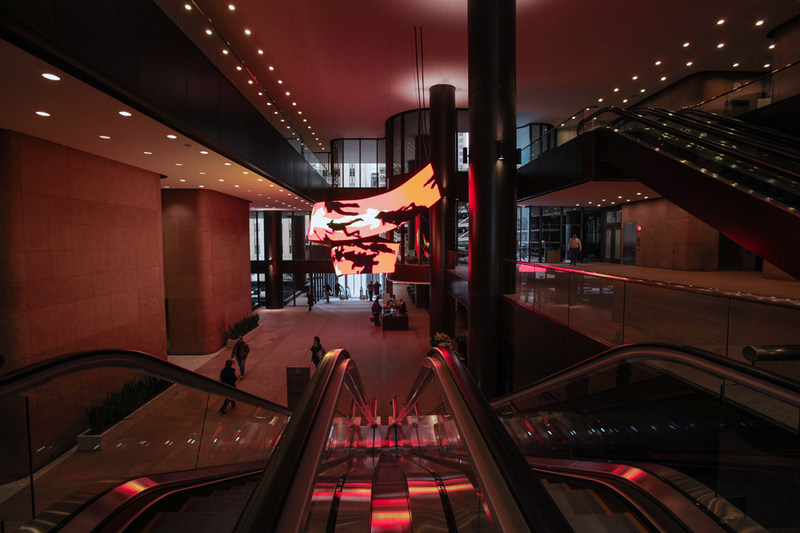 The result is a dynamic video animation featuring the building’s residents and workers and the local Houston community in both realistic and abstract forms. 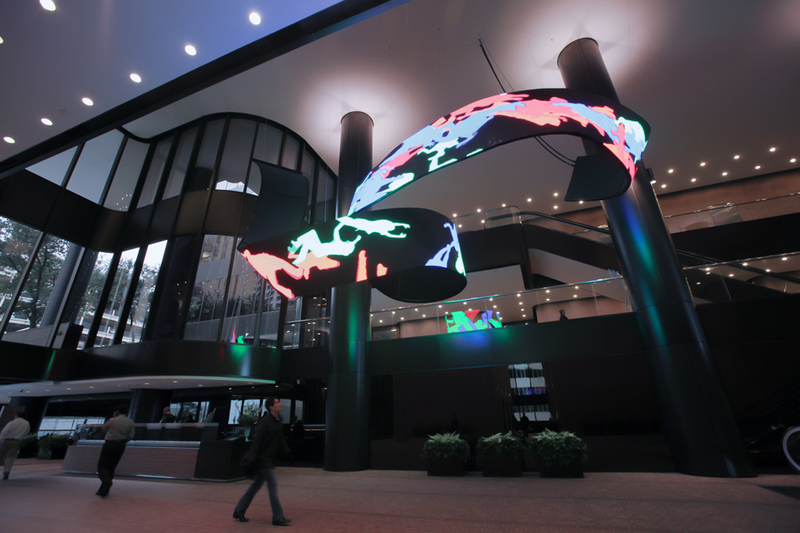 Waves is the largest twisted LED video sculpture in the United States, an important milestone in the field of public video sculpture. 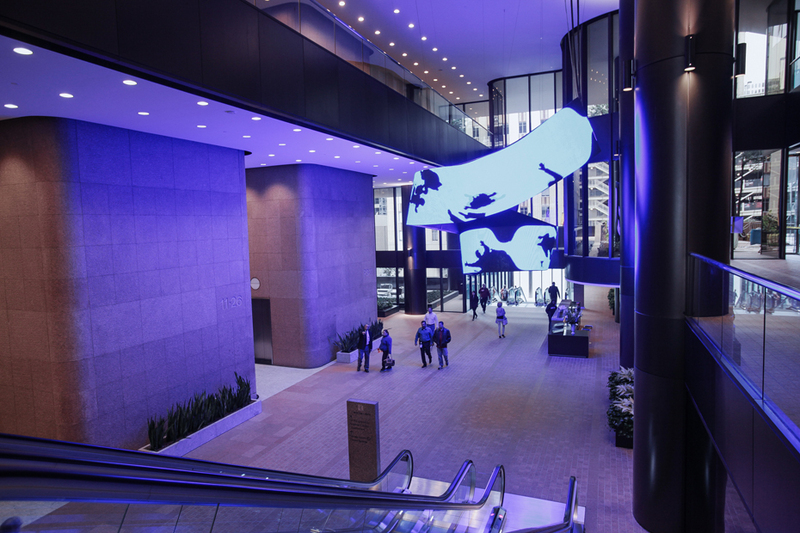 The installation is situated in the atrium of 2 Houston Center, an office building in downtown Houston, and is the first permanent piece of public art in the U.S. by Daniel Canogar. 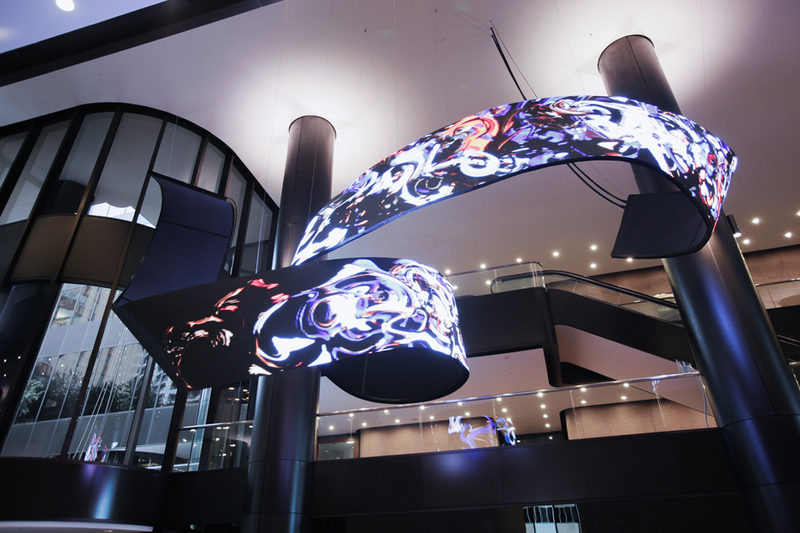 Flexible LED Screen, computer controlled system, computer, screen combiner system, USB, 09:29 min. video loop. 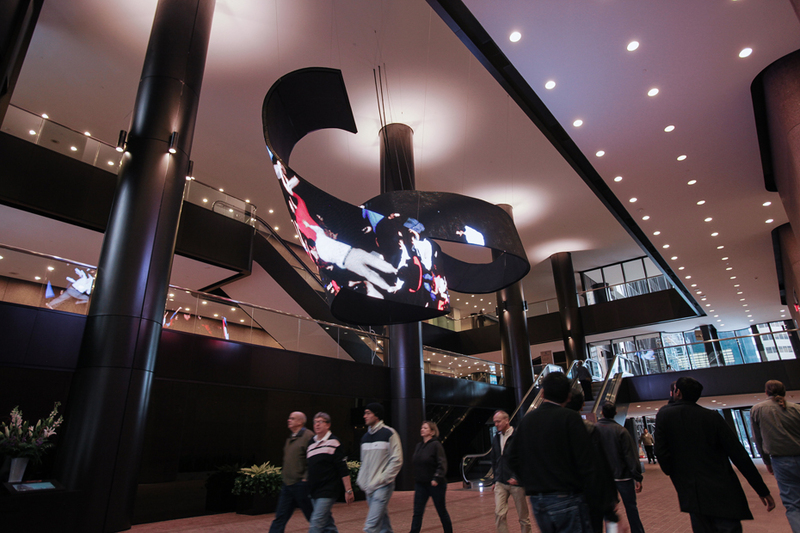 Dimensions: 32ft 9in x 9ft 10in x 14ft 9in / 1000 x 300 x 450 cm.